Hotels in Tomar, central Portugal, offer a variety of accommodation options, ranging from historic family homes and rural guesthouses to modern hotels, aparthotels and even a city centre campsite with excellent conditions. 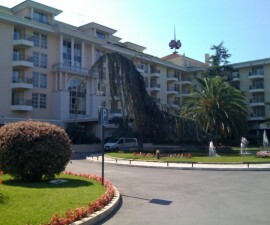 Hotels in Tomar’s city centre provide easy access to its famous monuments. The UNESCO World Heritage Site of the Convento de Cristo and the Templar Castle are amongst Portugal’s most important historic sites and, for sure, will be in your must-see list while in the area. If you do not have a car or intend to spend a lot of time exploring these, staying in one of the city centre establishments will help you get the best out of your stay. The Hotel dos Templários offers an excellent standard of accommodation in the mid- to upper-price range and is conveniently located just 200 metres from the town centre. 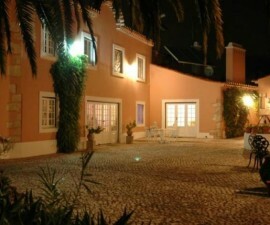 It has spacious rooms with balconies offering picturesque views over the Nabão River and the Mouchão pubic park. Another popular option is the Estalagem de Santa Iria, which occupies an idyllic location on an island right in the middle of the city park. Most guests enjoy taking a walk out in the evening to eat in one of the many restaurants in the city. For young families and those who prefer to fend for themselves the Residência Santa Marta aparthotel on the outskirts of the city provides good value accommodation with private kitchen facilities. 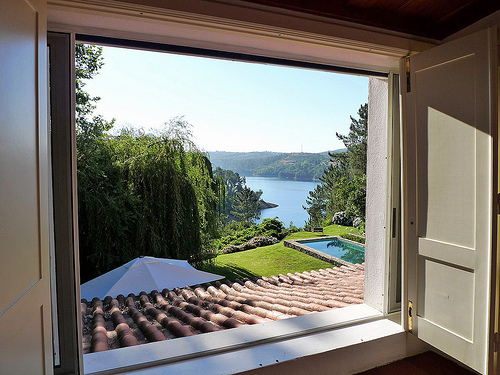 There are several hotels and guesthouses on the nearby Castelo de Bode lake, nestled in the hills some 13 kilometres out of Tomar. These are popular with family groups and those looking for a rural location close to the bathing and water sports facilities. The Estalagem Lago Azul is located right on the shores of the lake and offers plenty of facilities to keep guests of all ages entertained, as well as giving direct access to the lake. Staff at all hotels in Tomar are generally well informed about the various activities on offer and will assist with making reservations for canoeing, sailing and other watersports on the lake as well as the many dry-land adventure sports available in this lovely corner of Portugal. Swathed in history, the hills around Tomar are dotted with country houses that have been lovingly restored and converted into quirky guesthouses. These make for a homely stay and are a good choice for couples looking to get away from it all or for groups wanting to create their own home from home by occupying the entire house. 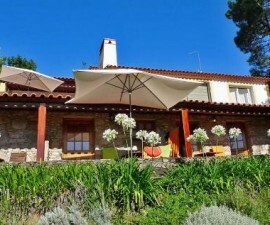 Try the 12th Century Quinta da Anunciada Velha, the Quinta da Alcaidaria Mor near the village of Ourem, or the small and quirky Quinta do Troviscal, nestled on the banks of the Castelo do Bode Lake. 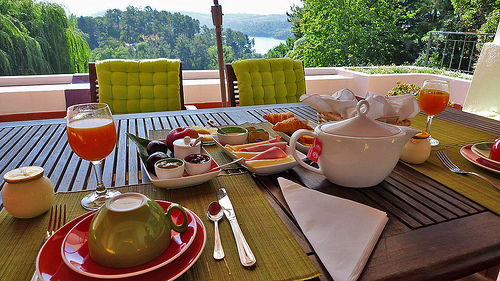 Hotels in Tomar and the surrounding area are varied and welcoming. Whatever your budget or preference, you are sure to find something here to suit your tastes.